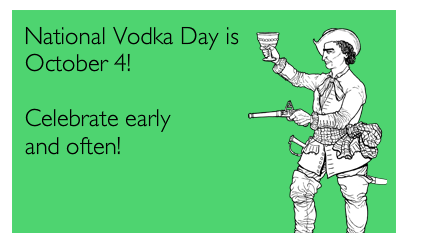 Our Greatest National Holiday — VODKA DAY YAY! The Fourth of July? Whatever. 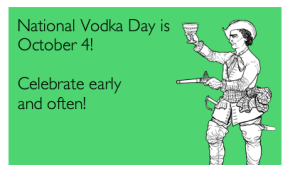 The Fourth of October is National Vodka Day. I wish I were present at the intense lobbying sessions with our elected officials to make this long-needed event happen. More importantly — have you decorated your house yet with lucite adornments? 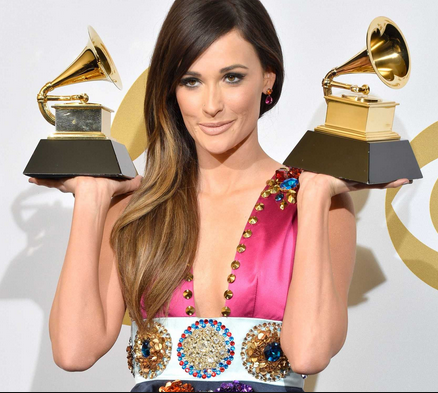 Wearing of clear plastic earrings? People complain that Christmas decorations show up now, but I’ve been seeing vodka bottles all summer. I spoke to Zodiac Vodka‘s CEO Dan Liguori. He should really change that “g” to a “q” — a liquor CEO named “Liquori” — c’mon. Like an old-timey Hollywood agent fixing a star’s name, I ask — “So Liquori — what drinks would honor this revered fête?” He suggested the Star Eyed Julep, which strangely incorporated Zodiac Vodka. Add mint leaves into Julep Cup, press with muddler 4 to 5 times. 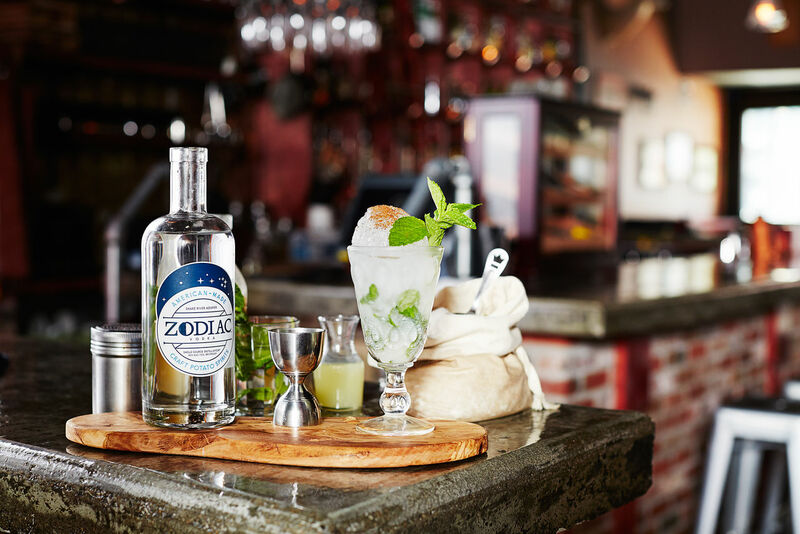 Add Zodiac Vodka, Orgeat, lime juice and powdered sugar and fill the cup half up with ice. Stir ingredients until incorporated. Top with crushed ice, fresh grated nutmeg and a mint sprig to garnish. Created by Bartender Brian McCullough (Standard Pour, Dallas).